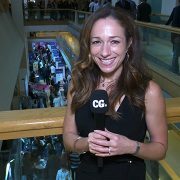 CoinGeek Week 2018, the second conference organized by CoinGeek.com, succeeded in gathering the brightest minds and pioneers in the Bitcoin SV (BSV) space and educating those who wish to learn more. Taking place at a pivotal moment in Bitcoin history, the conference kicked off a message for Bitcoin to “Grow Up” before mass adoption can follow. “We have a pure version of Bitcoin right now and everybody that’s here supports this and wants the same thing which is a stable platform that massively scales. And that will allow this platform to grow up and be able to be used by adults which means businesses”, said CoinGeek’s Founder Calvin Ayre. Business owners made up a large percentage of the delegates populating the busy CoinGeek conference floor, alongside merchants, media, developers and other Bitcoin enthusiasts. The event’s impressive line-up of speakers covered all corners of the Bitcoin SV industry, in an effort to provide relevant insights for every attendee from expert to noobie. The first of CoinGeek Week’s three days focused on Application Development and James Blending of Tokenized, the winner of CoinGeek’s 5 million pound contest, delivered a presentation on his innovative platform and how it will enable businesses, governments, the legal industry and more to take advantage of the BSV chain. “I see the Bitcoin SV ledger as a huge opportunity to standardize a lot of the business communication that goes on throughout the world. So with EDI [electronic data interchange] for example, you’ve got purchase orders, invoices, shipping notices, things like that. But also contracts, agreements and that extends to smart contracts which is something that’s new and innovative, I think”, shared Belding. Prominent Bitcoin figure Ryan X Charles of Money Button, a firm believer in building applications on the BSV chain because Bitcoin SV is Bitcoin, revealed his reasoning to the audience. “Bitcoin is sound money that scales to the entire world. I will also say that given the recent events, within the SV world, people deeply appreciate stability. They deeply appreciate that we need to keep the protocol the same. So that gives me confidence, the fact that it is the original Bitcoin, as well as the fact that the values of people in the SV world are aligned with stability and growth”, Charles said. Day two of the conference was dedicated to Merchant Adoption and the importance of educating merchants on how they can use Bitcoin SV right now, the only path to growing the Bitcoin ecosystem. Elizabeth White of The White Company is a first-mover in this space and revealed some of the high-end items available for purchase in BSV via her online shop. “Through our white market luxury store we source everything from PAMP Suisse Gold to Lamborghinis, to trips around the world, so anything your heart desires that you would like to spend your crypto currency on we can facilitate”, she revealed. “We also need real businesses which are not in Bitcoin to start using Bitcoin, using the global ledger in ways which helps their existing businesses which have no revenue streams tied to crypto currency price appreciation at all and I think that’s the way to build a healthy economy”, added speaker Jerry Chan of SBI Holdings. The final day of the conference focused on the future of Bitcoin and featured a selection of innovative, forward-thinking speakers, including Dominic Frisbee, British comedian and author of “Bitcoin, The Future of Money”. “What people don’t realize about Bitcoin is the sheer scalability of the thing – its more scalable than fiat money- there’s still two million unbanked people in the world who will be able to be accepting crypto currencies as a means of payment or they’ll never get a bank account. Fiat money is limited by borders, crypto currency is borderless and it just makes it so much more scalable”, Frisbee explained. nChain Chief Scientist Dr. Craig Wright wowed the crowd when he unveiled his Bitcoin SV Metanet project, explaining how it will revolutionize the way people do business and exchange information. “We’re redoing the internet in a way, we’re going to use the internet as just one of any ramp people can get to create a full commercial capitalist peer-to-peer network so that anyone can route any packet, get any data, watch any video, stream anything, create any data, create any game, any application, whatever else, and get paid for it”, Dr. Wright revealed. After three fruitful days of presentations, networking and fun, the Bitcoin SV community left feeling positive and enlightened, with clarity on the bright future that lies ahead. “Bitcoin SV’s journey has just begun”, shared the ever-inspiring nChain CEO and CoinGeek Week emcee Jimmy Nguyen. “This [conference] came at a critical time. It brought people together. I think it made people feel very confident in the future of Bitcoin SV…It just happened to come after the network upgrade, and the hash war period decided to be ended by CoinGeek. But I think it gave people a sense of hope, inspiration, a rededication to the belief in what Bitcoin’s core principles and designs are”, Nguyen added.